Meet Diane Landry of Bainbridge Island’s award-winning non-profit, Zero Waste, and learn how you, too, can help with cleanup after the Rotary Auction and on July 4th. 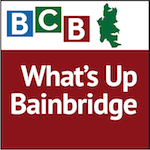 In this edition of What’s up Bainbridge, Diane gives us the inside scoop on Zero Waste, an initiative of Sustainable Bainbridge. Recognized as the ever present ‘face of Zero Waste’ on Bainbridge Island, Diane spearheads their dealings with the recyclables and trash generated at the island’s many public happenings. 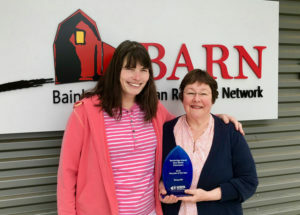 The most consummate of volunteers, she organizes participants for a number of events from the upcoming Rotary Green Team for the yearly auction to the July 4th celebrations and the Friends of the Farms Harvest Fair in September. In this podcast Diane talks about some of the challenges of raising awareness regarding waste generated at these events and what to do with it all, stressing the importance of the strong volunteer cadre that supports this vital Island undertaking. She also takes time to tell about the extraordinary honor her Zero Waste Volunteer Team just received: The Washington State Recycling Association’s 2018 Nonprofit of the Year Award. To learn more about Bainbridge Island Zero Waste, please visit the Zero Waste web page at http://www.sustainablebainbridge.org/bainbridge-island-zero-waste.aspx. Credits: BCB host: Bob Ross; BCB audio editor and publisher: Diane Walker; social media: Jen St. Louis.